A spanish shepherd boy santiago has these recurring dreams about a treasure hidden at the foot of the egyptian pyramids. He leaves Spain to find it and journeys to the markets of Tangiers and across the Egyptian desert, guided along the way by a camel driver, an alchemist and other spiritual guides. and he discovers a far greater treasure (greater than any earthly gold): wisdom, self knowledge and enlightenment. Though the Alchemist is not about Santiago at all. It's an inspirational fable; it's about our own self discovery; it's about awakening your passions; it's about following your heart; embracing life as a journey and finding the courage to chase your dreams. It felt more like a really hackneyed self-help book to me. I don't know if it makes great literature. What is great literature? Great literature? Great literature has to be open, slightly ambiguous, suggestive, troubling, it has to work on several different levels, it has to be possible for different readers at different times to find their own way through to an interpretation. 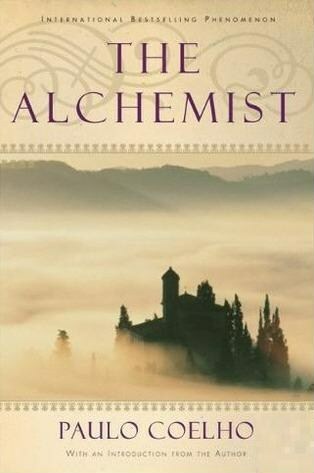 The Alchemist is shut off, closed, it is a parable, and a very obvious one, and no more than that. Coelho is a control freak, he only lets you read it one way. It's readable, but literature it ain't. My daughter had to read this in grade 9. She hated it so much, her main complaint being that it was so insulting to her the reader. Karen you've now explained why. Thanks for laying it out so clearly. Very measured review for a book awarded one star. Appreciate it. I gave this five stars because i read it when i was a teenager and loved it.. perhaps it is time for a re read and a re-evaluation of this one. Just good to read with few yawns now n then...nothing superexciting! !hmmm..what was the hype about btw? I'm just glad I wasn't the only one who felt this way about the book. After hearing of it so much I figured I would be impressed and inspired. I just wasn't... Near the end I was literally rolling my eyes and waiting for the conclusion. I only enjoyed the adventure story, and mostly just the start of it. "Hackneyed self-help" sums it up nicely. Lessons come to you in all kinds of ways. Messengers may not be great writers in providing the messages. You picked it up and read for a reason ....ponder on the reason. i agree with you on your comment. The Alchemist is a very inspirational book to read. It teaches you and inspires you to chase your dreams. Now there are some people who disagree and dont like this book but i think it really makes you think about what you want out of life. I am currently doing the same thing and haven't even made it halfway through. I was so excited when it finally came through at the library but am incredibly disappointed in it and do not plan on wasting any more of my time by finishing it. I already understand the basic message and do not agree with it based on personal beliefs and most of all, experiences. What little I did read was pretentious and condescending, which is what put me off originally. Thus the reason for finding comments such as yours. Glad to know I am not the only one that doesn't like it and has not even finished it.